The arrangement between atoms of a film of strontium titanate and the single crystal of silicon on which it was made. When sufficiently thin, the strontium titanate can be strained to match the atom spacing of the underlying silicon and becomes ferroelectric. When sufficiently thin, strontium titanate can be strained to match the atom spacing of the underlying silicon and becomes ferroelectric. This schematic has been written into such a film utilizing the ability of a ferroelectric to store data in the form of a reorientable electric polarization. 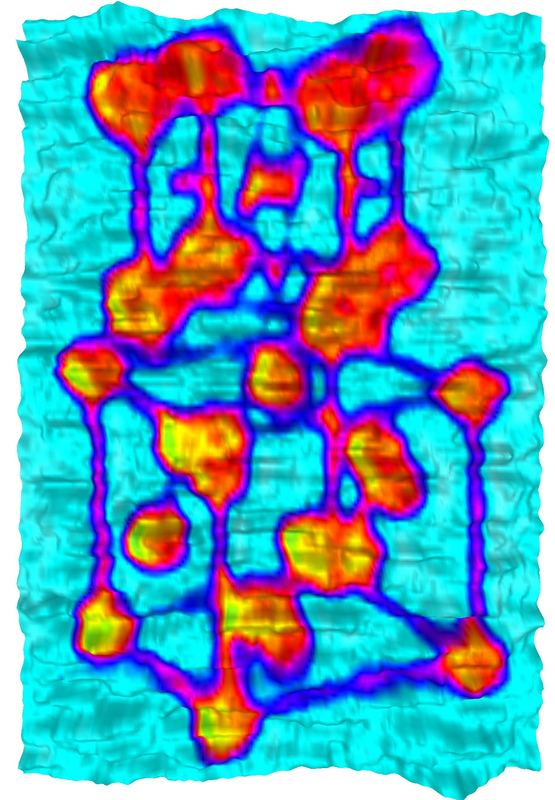 Almost exactly two years ago, a team led by Joseph Woicik of NIST and several other federal, academic and industrial laboratories combined precision X-ray spectroscopy data from the NIST beamlines at the National Synchrotron Light Source with theoretical calculations to demonstrate that by carefully layering a thin film of strontium titanate onto a pure silicon crystal, they could distort the titanium compound into something it normally wasn't—a so-called "ferroelectric" compound that might serve as a fast, efficient medium for data storage. ** The new paper adds a key experimental and technological demonstration—the ability to write, read, store and erase patterned bits of data in the strontium titanate film. The breakthrough originated with researcher Hao Li of Motorola, Inc., who succeeded in depositing the metal oxide directly onto silicon with no intervening layer of silicon oxide producing "coherency" between the two crystal structures—the unique matching up perfectly of one atom to the next across the metal-oxide/Si interface. This is a difficult trick both because silicon is highly reactive to oxidation and because the crystal spacing of the two materials does not normally match. Guided by precision X-ray diffraction data from NIST, Li developed a finely controlled method of depositing the strontium titanate in stages, gradually building up layers that were only a few molecules thick. 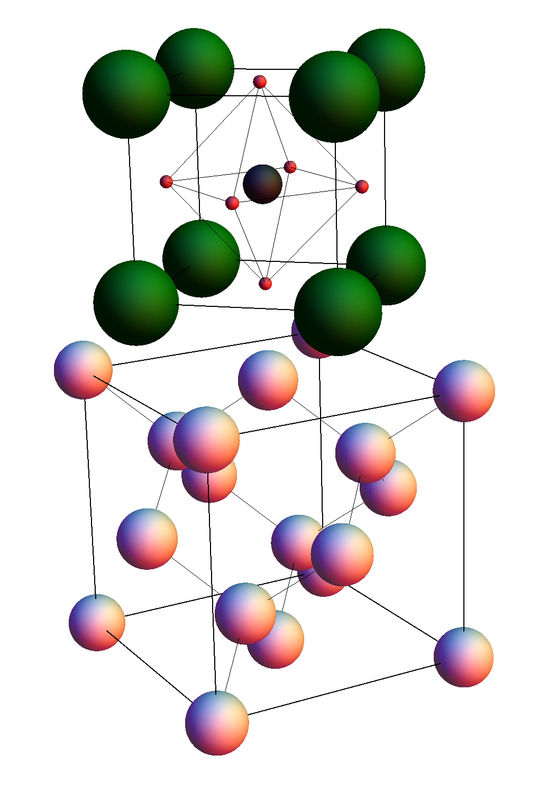 The result, X-ray data showed, was that the silicon atoms literally squeezed the cubic strontium-titanate crystal to make it fit, distorting it into an oblong shape. That distortion creates a structural instability in the film that makes the compound a ferroelectric.